The advantages of a height adjustable desk are aplenty, from providing staff with ergonomic solutions to offering an affordable prevention for many musculoskeletal issues which may force employees to take time off work. 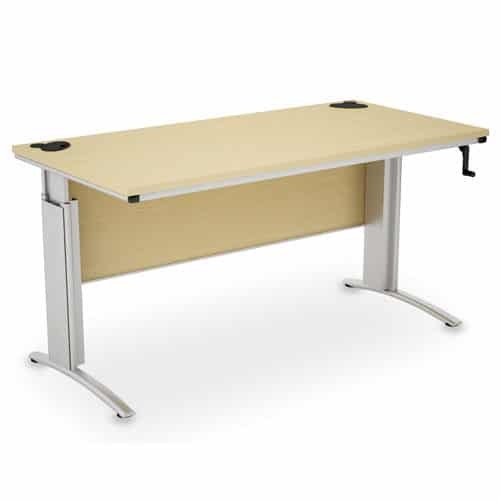 The D3K Height Adjustable desk allows the user to quickly and easily change desk height to suit, allowing more options for movement throughout the day. This increases concentration and productivity and can also help to fight a range of diseases caused by sedentary behaviour. 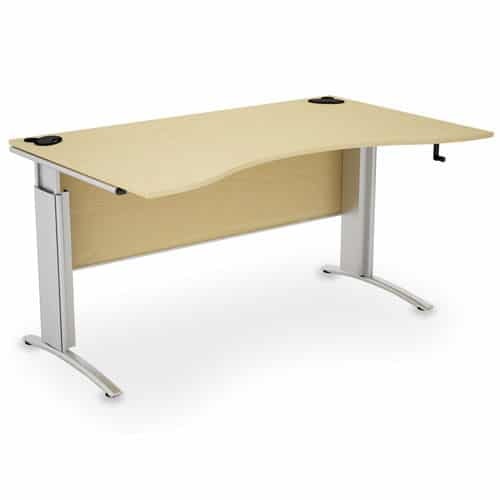 Available in a range of finishes and top shapes, D3K height adjustable desks are designed to suit the space and design of your office, whilst an optional cable spine ensures wires stay neat and safely organised whatever the height of the desk. 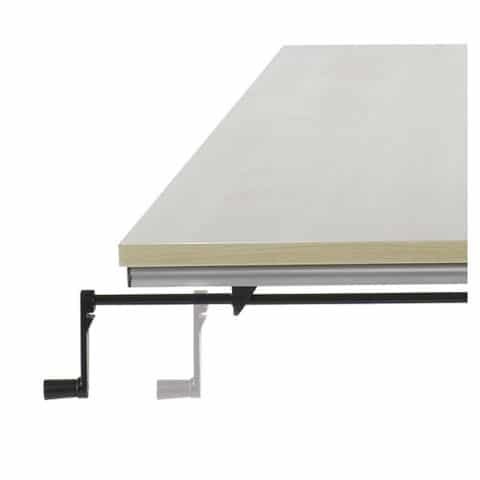 Cable spines are available to keep wires neatly managed. It may be necessary to clip two together in order to accomodate full height adjustment.